Does your business website really work for you? Does it convey the right messages about who you really are and what you really do? Many consultants are so busy getting the work done and following up on new leads that they don’t find the time to step back and take a careful look at the website that may be responsible for bringing them that business in the first place – or not. This dinner session of the Society for Professional Consultants is meant to address this challenge. 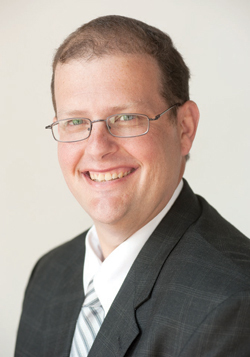 With his 20 years of technology background and over a decade running his own business, our presenter, Matt Ward, president and CEO of inConcert Web Solutions, has had plenty of experience helping his small-business and consultant clients get their websites right. This will be an interactive session. Bring your computer so that we can all have a look at one another’s websites and give feedback. Matt will share tips and ideas – and then we’ll break into small-group discussions around our dinner tables to evaluate how well each is doing at following the best practices Matt describes. You’ll get the advantage of both high-level advice and also supportive feedback from your companions and colleagues around the table. And, of course, Matt will be available to answer your specific questions as well. Some consultants find that they get much of their business directly through their websites. They are in very specific niches, and they know their prospective clients will be able to find them online by searching for just a few magical keywords. For other consultants, their website isn’t so much their primary channel for attracting new business as it is a credential that corroborates what people already know about them from referrals, mentions in the media, or speaking engagements. Matt understands these two types and will speak to their different concerns. Attendees will come away from this meeting with either some actionable advice to get their website on track – or a confirmation that they’re pretty much there already. Register today, and please bring your computer if you can. If you can’t, though, don’t stay away! There will be others at your table who can share. Matt Ward is president and CEO of inConcert Web Solutions. He has 20 years of technology background. In 2002 he founded inConcert Web Solutions, a Web Design, Development, and Hosting firm. In his current role, he helps clients strategize and create ways to make their websites and e-mail marketing more effective. Mr. Ward was the 2011 recipient of the Worcester Business Journal’s 40 Under Forty award, given to 40 up-and-coming leaders in the Central Massachusetts business scene. He was also awarded the 2015 Business Person of the Year for the Greater Gardner Chamber of Commerce. His firm inConcert Web Solutions has received the 2013 and 2014 Top 10 Web Firms of Central Mass and the 2013 Best of Boston Web Design Firm. He is the author of Making Your Website Effective. Two other things to know about Matt: He also played high school football against tight end Kyle Brady, who went on to the New England Patriots. And Matt bleeds chocolate: He’s from Hershey, Pa.!